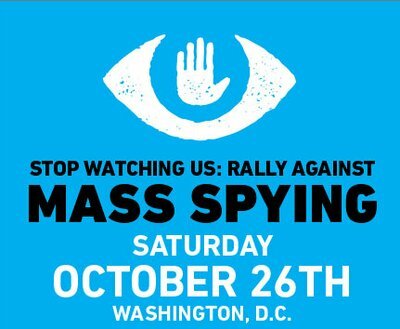 On Oct. 26th, join the largest rally against the NSA. RSVP to attend the biggest rally against the NSA ever! 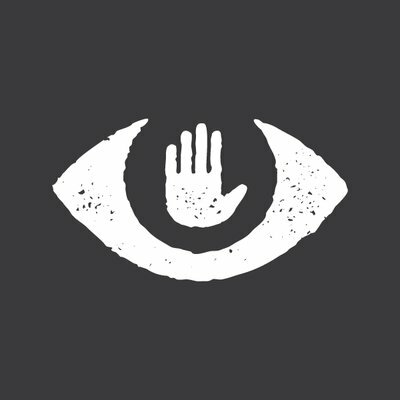 We support the Stop Watching Us Coalition's Rally Against Mass Surveillance. On Saturday, October 26th at 12pm EST, the anniversary of the Patriot Act, thousands will gather in Washington, DC. We will meet at Columbus Circle in front of Union Station, then march to the Capitol Reflecting Pool, where we will participate in the largest anti-NSA rally ever! Use the form below to RSVP! 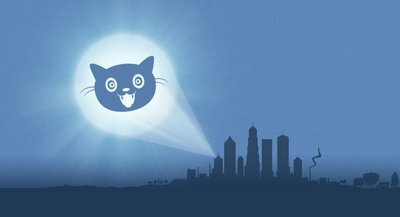 We will e-mail you any updates to the plans as the happen, and we'll even e-mail you a reminder a day before the rally! Thank you for RSVPing! We will send you updates about the rally before it happens! Until then, can you share this info with everyone you know? If you have a website or blog, then WE NEED YOUR HELP! With just 9 lines of code you can help raise awareness about the rally for anyone who visits your site! Find out more about this by following this link to the Stop Watching Us Rally site. With your help, we've made THE definitive video to explain to everyone why PRISM is horrible and what we can all do to stop it. On the day of the rally, watch this video and send it to everyone you know! 3. Be part of the rally on social media! Not everyone who wants to stand up against the NSA can attend the actual rally, but almost everyone can help spread the word about it on social networking sites like Facebook, Twitter, Tumblr, and Google+. If you've got an account, then you've got a way to spread the word! Click below to go to the main page for the rally and then use the buttons to share. The rally will be Livestreaming online, so you won't have to miss it if you can't attend. Additionally, there will be viewing parties around the globe, which you can get more info on here. 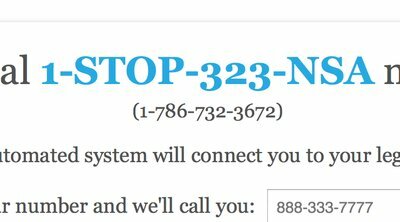 This handy phone number makes it easy for anyone to call their Congress members to demand a full investigation into NSA spying, and strong new laws to protect our privacy. Making a phone call is one of the most powerful ways to influence your member of Congress. The number provides you with some talking points and then connects you to your representatives. Put it on a protest sign, shout it from the stage, tweet it. Just get it out there and make the calls! 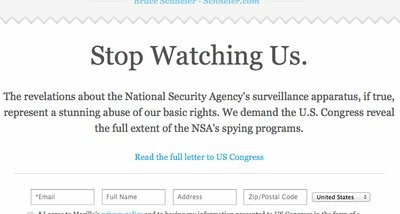 Companies like Mozilla, DuckDuckGo, and Reddit, celebrities like WWW creator Tim Berners Lee, John Cusack, Ai WeiWei, and over 500,000 other individuals have already sent this letter to Congress demanding answers about NSA spying. Help us reach 1 million emails sent. A project of Fight for the Future. No copyright intended. Help us by Donating.